Throughout your stay, you will have the opportunity to discover the cultural, historical and natural heritage of Bourges. Capital of Berry, this city has a rich history. 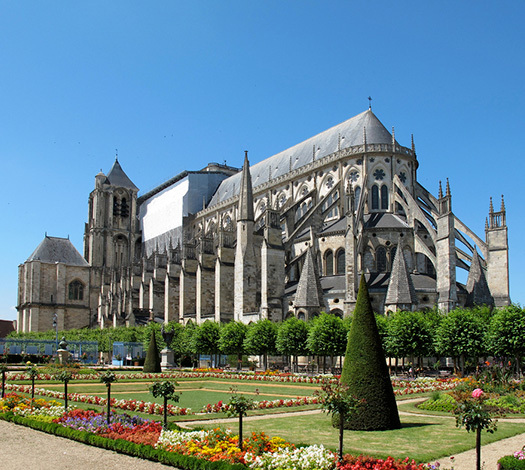 From the Jacques Cœur Palace to the Cathedral and its several museums, the city of Bourges seduces with its unique charm. Throughout its history, the city has preserved a rich and sumptuous heritage. Witnesses of this remarkable past, the Saint Etienne Cathedral, classified as a UNESCO World Heritage Site, the Jacques Cœur Palace, the private mansions or the hundreds of timber-framed houses spread throughout the city. Initially intended to ensure protection for the city, these former marshes crossed by the Yèvre were converted into allotment gardens. 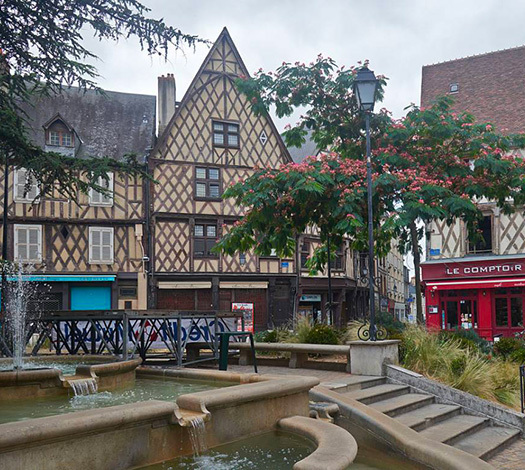 Along with those of Amiens and St-Omer, it is one of the last market gardeners in France. Today classified and protected, the Marais de Bourges cover 135 ha and are cultivated by a certain number of berruyers who animate and embellish this magical place with passion. 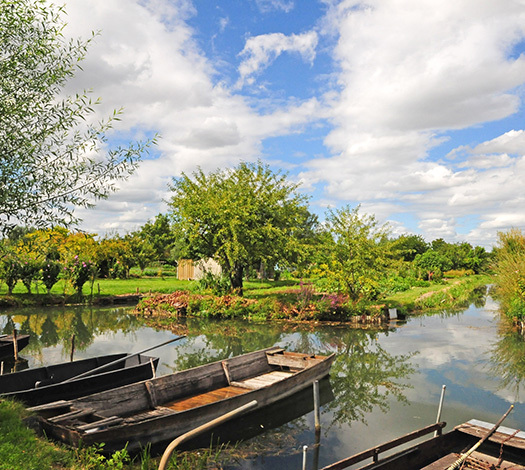 Unique and mystical place, the marshes of Bourges gather nature lovers and poets of a time. On foot, by boat or running, the marshes constitute a small place out of time just a stone’s throw from the city centre… a peaceful place where everyone can recharge their batteries in contact with nature. Bourges is certainly a city of culture. Major events, strong cultural sites, there is always a festival, a concert or a visit not to be missed. Le Printemps de Bourges, le printemps des poètes, les nuits lumière, un été à Bourges, cosmic trip… and music associations like l’emmetrop or faut qu’ça bourges show the cultural dynamism of this city. Whatever the season, there is no weekend without an activity in Bourges! But Bourges is also, and above all, its Spring! Each year, the Printemps de Bourges rhythms the city during one week and attracts nearly 80 000 festival-goers. This unique festival is a condensed of encounters, music, exchanges and good humour in the heart of Berry. Between history and nature, discover Berry through castles, sites and towns of character marked by the imprint of Jacques Coeur, an informed man of the XVth century, a great traveller who put his talents at the service of King Charles VII. And even if it is a small region, often forgotten by the French, the welcome is warm and the discoveries varied… Finally, it is good to live in Berry! 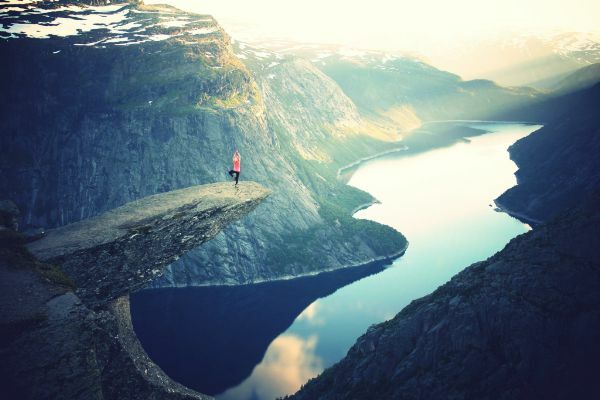 Berry is an ideal destination to recharge your batteries as close as possible to nature and intoxicating culture for a few days just for yourself! 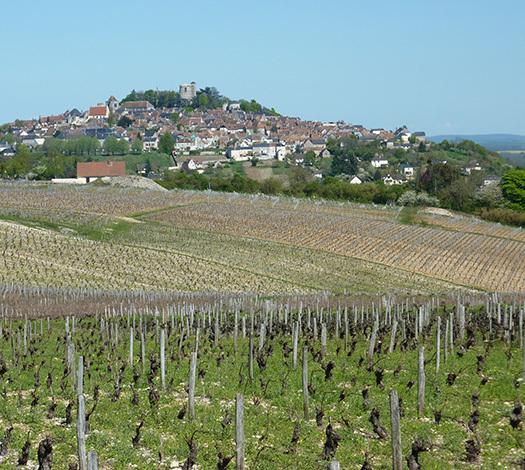 The Sancerrois is a French natural micro-region located around the commune of Sancerre. Remarkable by its hills and its numerous vineyards, the region is renowned for its wine and its Crottin de Chavignol production area. But Sancerre is not only its gastronomy, it is also a small medieval village of exception strewn on its hill which surprises by its remarkable panorama on the Sancerre and Cosnoise region. To discover this city is to visit the different districts by taking the small alleys which lead you to the Tour des Fiefs, last survivor of the feudal castle, or to the Maison des Sancerre to discover the vineyards of Sancerre through the new scenography, the film Aventure 4D and the garden of scents. An essential stage to discover for any amateur of gastronomy and beautiful landscapes. Fly over the Loire castles aboard a hot-air balloon, take a boat ride on the Cosson to discover the Château de Chambord in a romantic way, discover the Château de Blois, plunge into the greenery by entering the vast forest estate of Cheverny, take a walk in the gardens during the International Garden Festival in Chaumont-sur-Loire or visit the remarkable French gardens of the Château de Chenonceau… The Route des Châteaux de la Loire is a must for all art and history lovers. 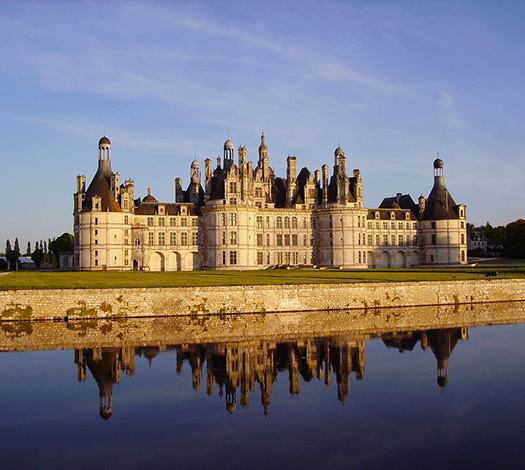 Castles that can be discovered in a playful way in any season… For more information, the reception offers flyers of these monuments of French history to discover prices and activities proposed during the seasons.